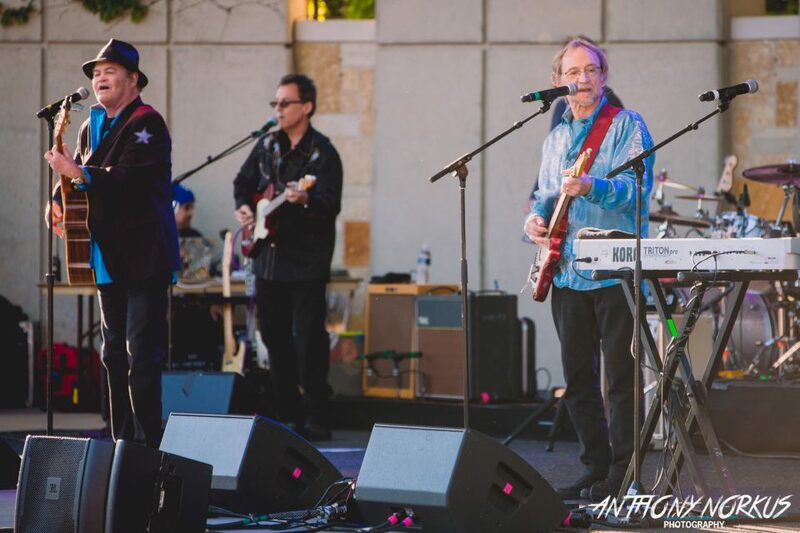 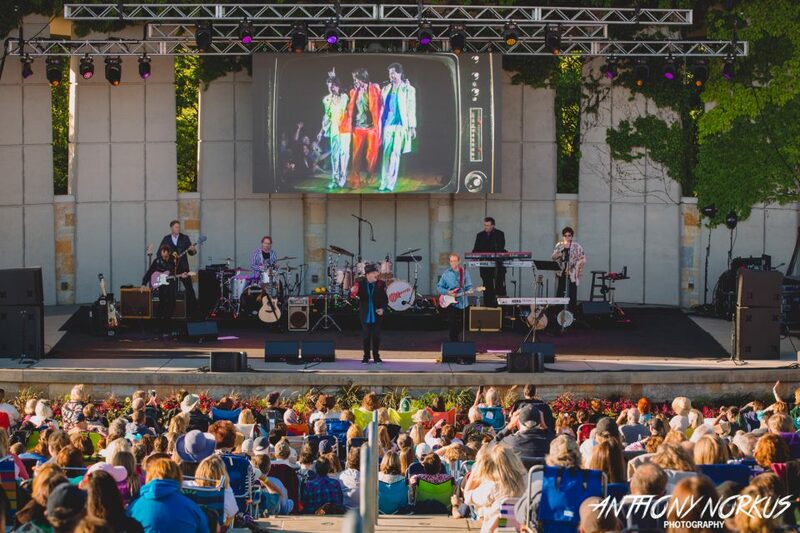 For its sun-drenched season kickoff, Frederik Meijer Gardens & Sculpture Park filled up Wednesday with “Daydream Believers” who celebrated the 50th anniversary of a legendary band which got its start on television and became one of the ’60s most popular bands. 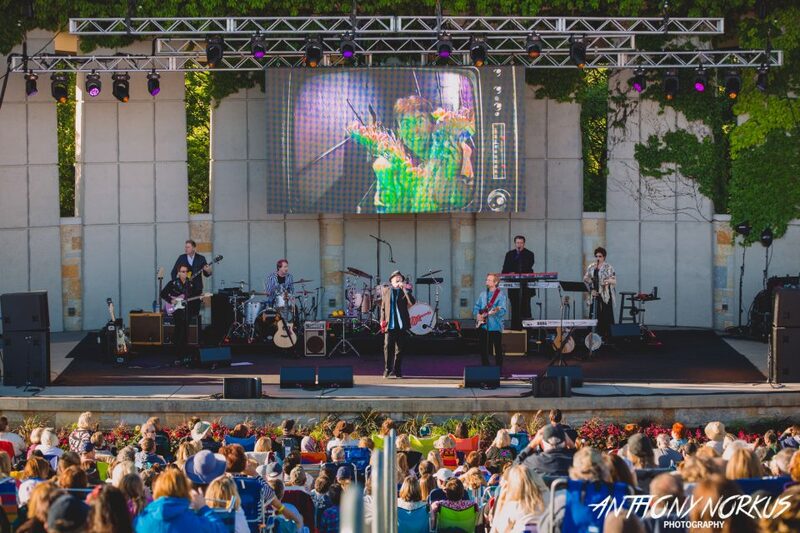 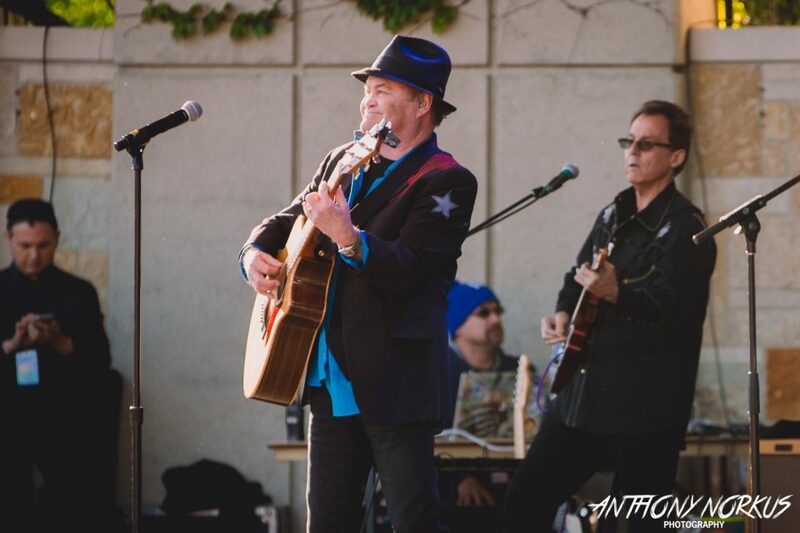 The Monkees — well, two of them anyway — christened the 2016 Meijer Gardens concert series by performing a whopping, two-part, 30-song show designed to satiate the sold-out amphitheater of fans who grew up with the TV wunderkinds by projecting clips from the show on a video screen behind the band. 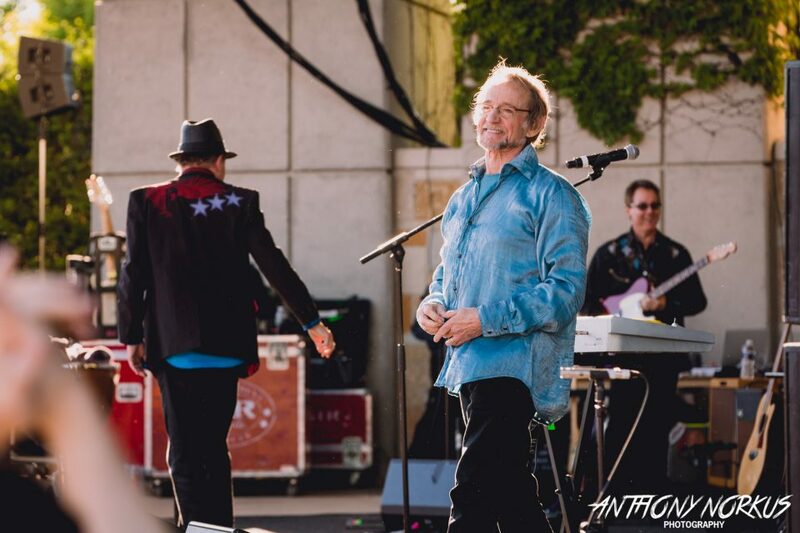 Lively and animated, frontmen Micky Dolenz and Peter Tork pranced around the stage, swapped instruments, interacted with each other and their backing band members, and engaged an audience long ago smitten by these pop stars and their hits. 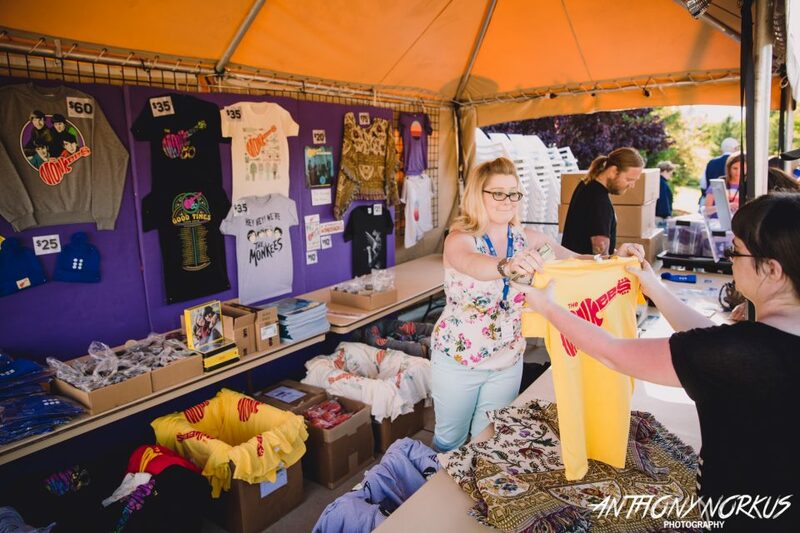 Some longtime fans, such as Grand Rapids’ Rich Czarnecki, lined up as early as 1 p.m. for the 7:30 p.m. show, and others swarmed to the merchandise booth to snap up Monkees’ T-shirts and other gear. 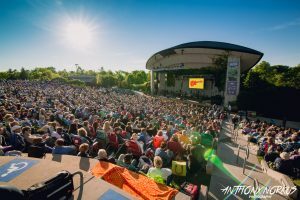 So were the folks from Meijer Gardens, who recorded yet another sellout for a 29-concert series that’s full of them. 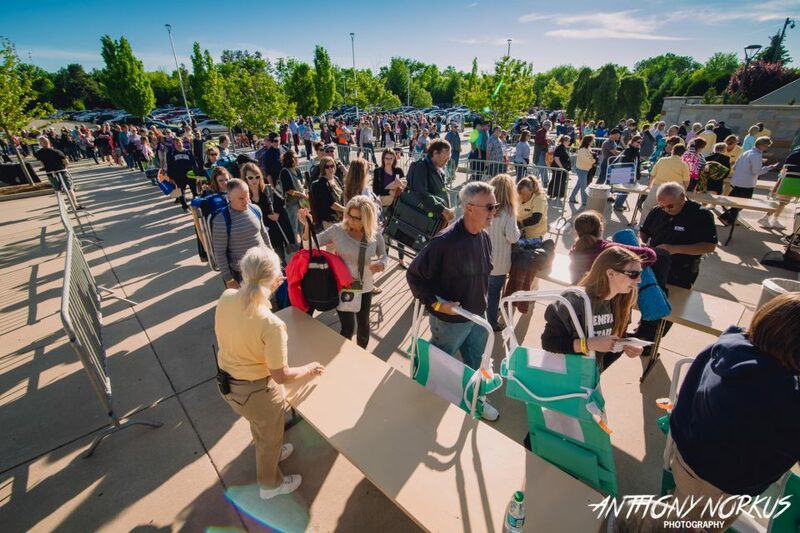 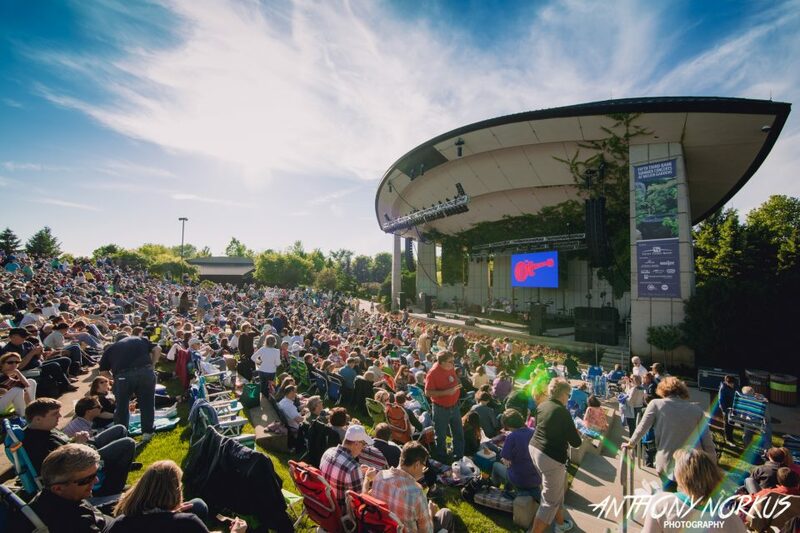 “It sold out this morning and the weather’s perfect,” gushed a happy John VanderHaagen, public relations manager for Meijer Gardens as the capacity crowd of 1,900 settled into its seats for Wednesday’s show amid blue skies and ideal meteorological conditions. 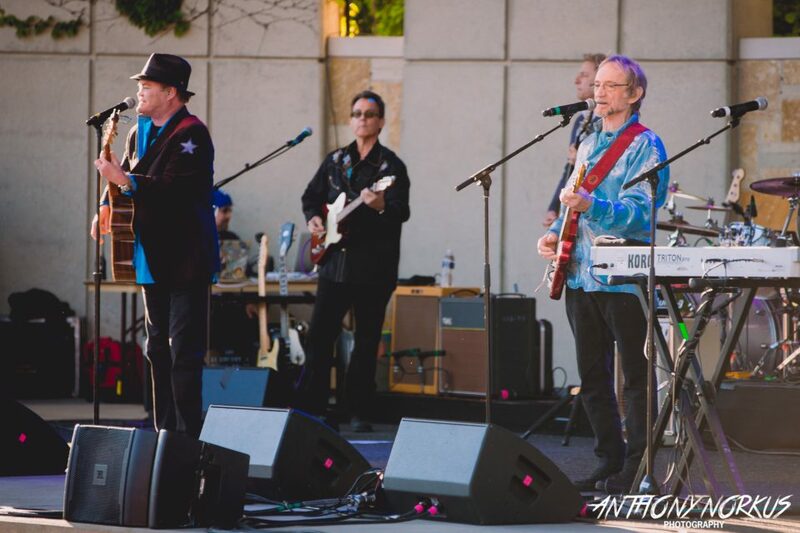 Although not quite as goofy as the band’s uber-popular ’60s TV show — with only two of the original four members on stage (Michael Nesmith is not part of the tour and Davy Jones passed away in 2012) — the show had a not-so-serious vibe that allowed Dolenz and Tork to vamp cheesiness and ooze nostalgia without worrying so much about technical precision or complexity, and just wallow in pop fun. 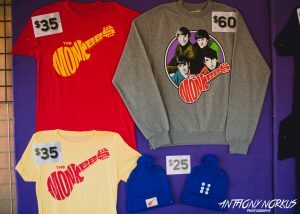 At times, the freshest material seemed to spark a newfound energy, maybe because “Good Times!” soared to No. 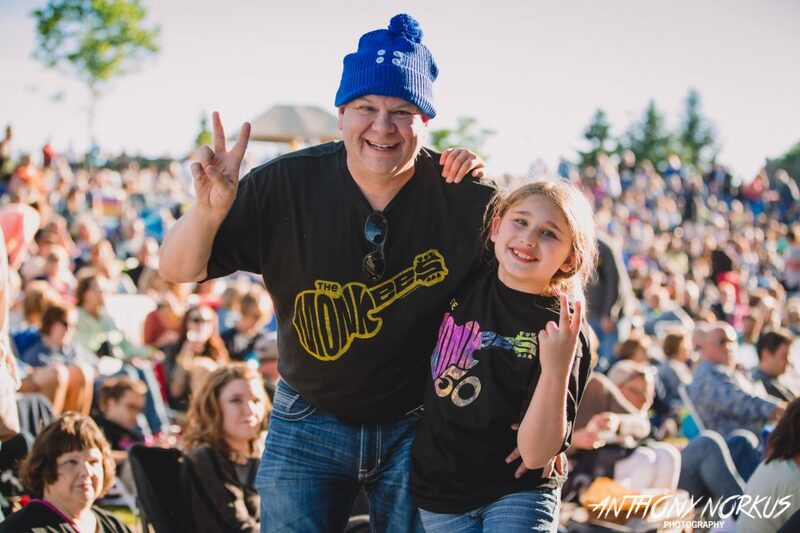 8 on the Billboard 200 chart after its release late last month, eclipsing the like of Adele, Prince and Ariana Grande, and earning surprising widespread praise. 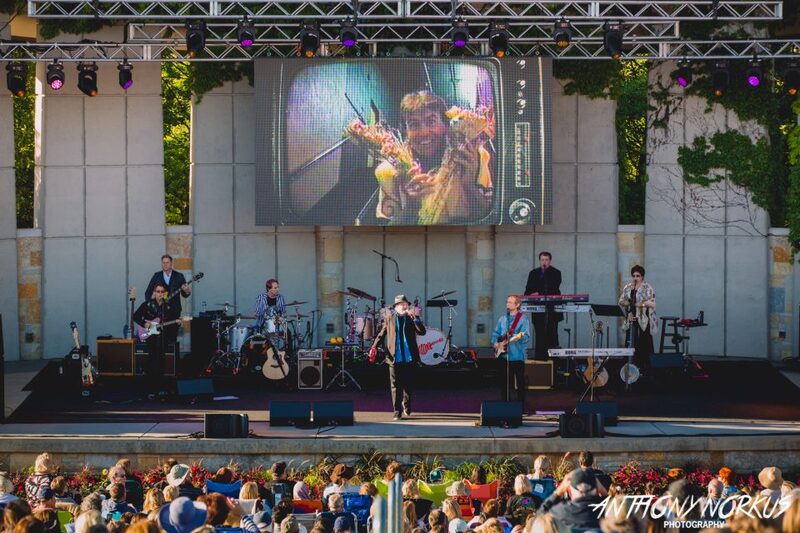 “She Makes Me Laugh,” the sixth song of the opening set and the third track on the new album, grooved with a catchy pop shimmer, enhanced by a comic-strip video projected on the screen behind the band. 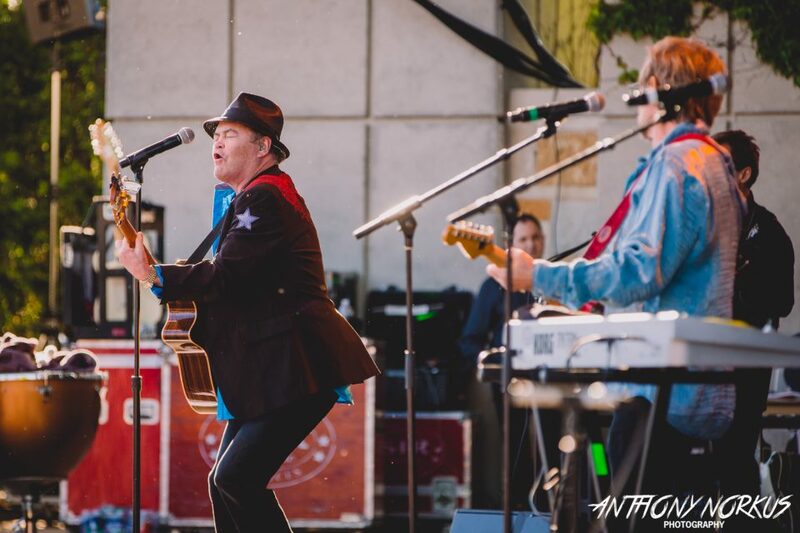 Slapstick-style humor was playfully woven into the show throughout the evening. 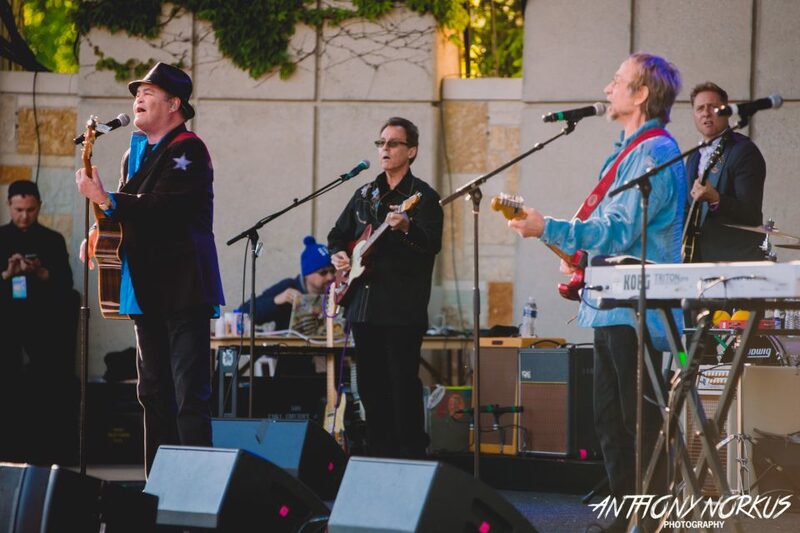 At one point during a song, Dolenz draped a decorative poncho over himself and banged on a timpani at center stage. 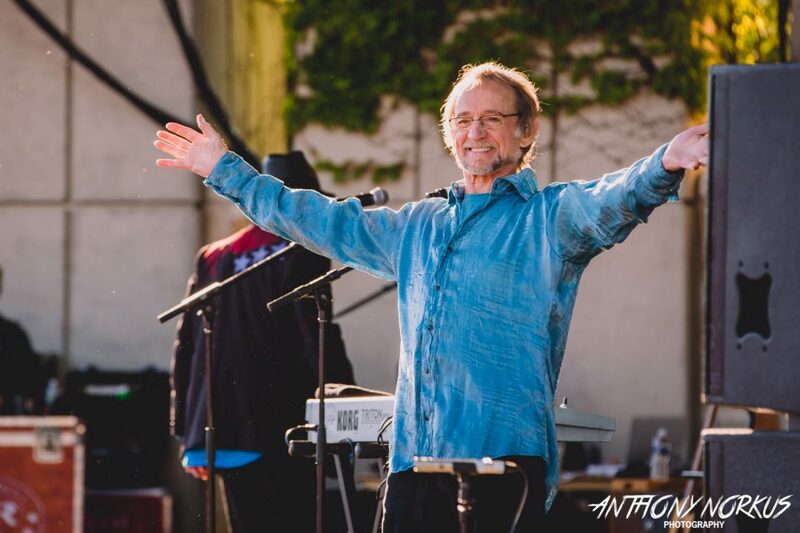 Nearing the end of the song, he trailed off into an over-the-top finale, before Tork came over to jokingly restrain him, almost knocking over his microphone. 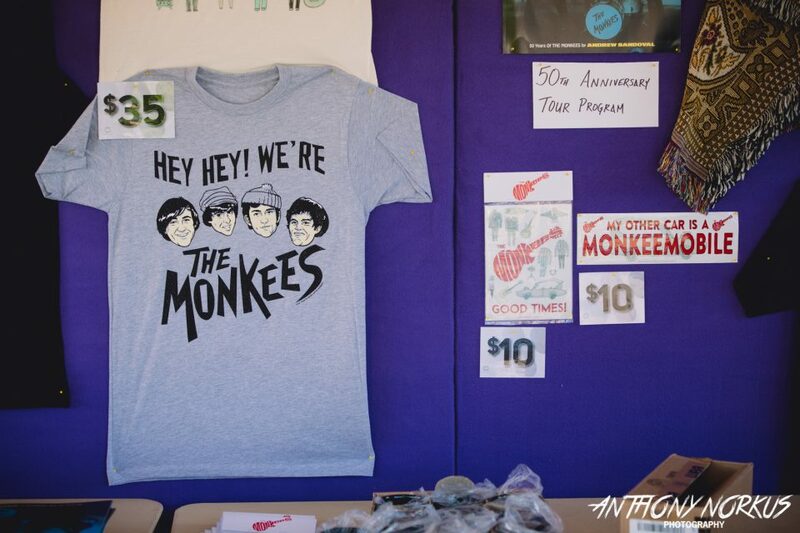 Plenty of banter was dished out. Dolenz introduced Chuck Berry’s “Johnny B. Goode” by looking out into the crowd and matter-of-factly stating: “So, I want you all to know…that before The Monkees, I did actually have a life,” going on to joke about a cover band he previously played with. 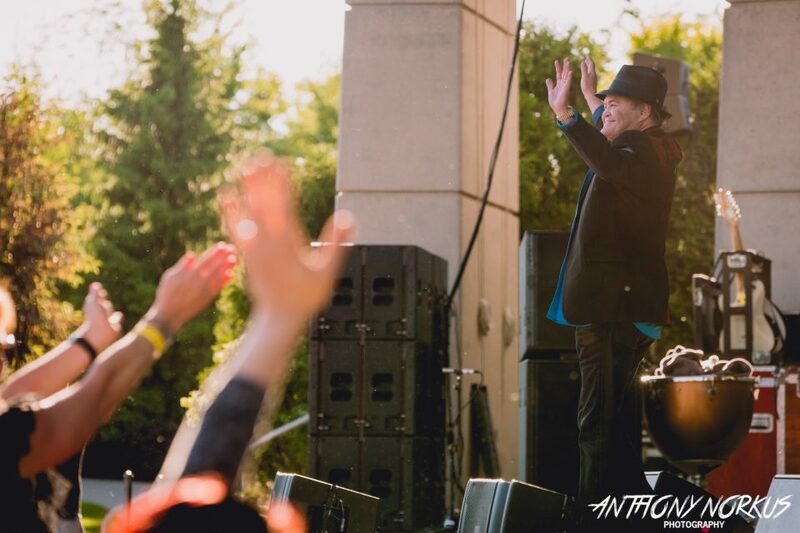 With the crowd on its feet and the band feeding off the radiant energy, an expected and anticipated finale rounded out the evening. 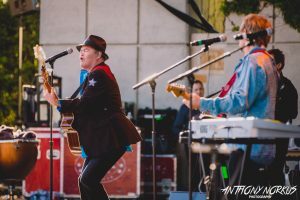 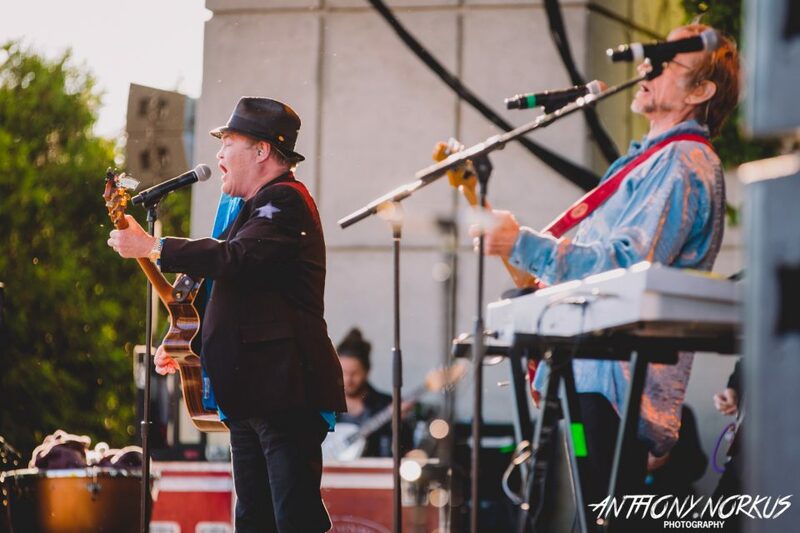 “I just wanna tell all those kids out there … that I’ve been playing this song way before ‘Shrek’ came out,” Dolenz mused with a smile on his face, before turning to the band and launching into the intro for “I’m a Believer” — a No. 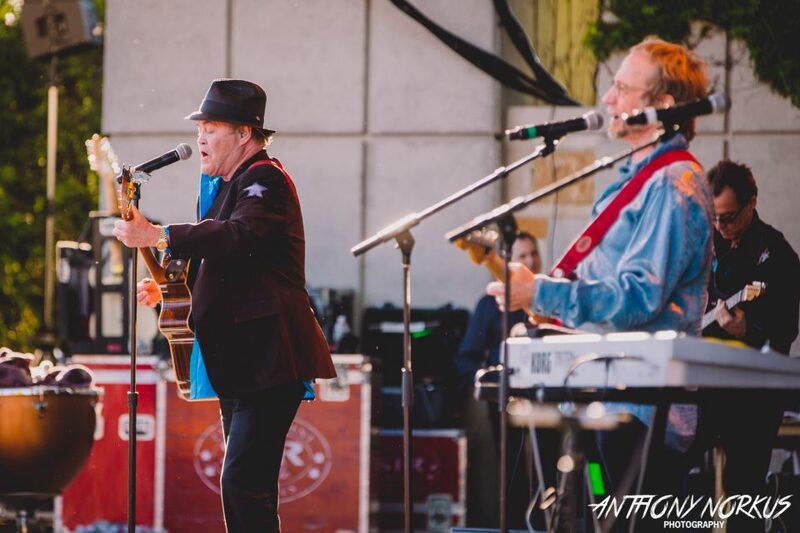 1 song first released a half-century ago.